Louis Ortiz-Rivera was born on October 1, 1945, in Rio Piedras, Puerto Rico. He enlisted in the U.S. Army on January 13, 1966, and completed basic training at Fort Jackson, South Carolina, in May 1966. 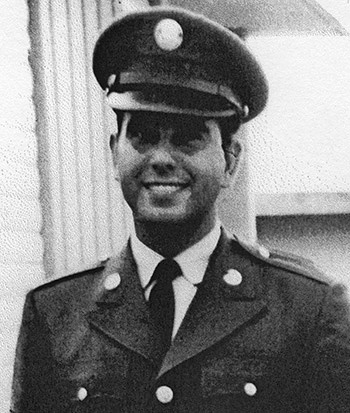 Pvt Ortiz-Rivera next attended Petroleum Storage Specialist training at Fort Lee, Virginia, from June to August 1966, followed by service as an aircraft fuel handler with Company D, 229th Aviation Battalion of the 1st Cavalry Division in South Vietnam from August 1966 until he was captured and taken as a Prisoner of War on December 27, 1966. After spending 393 days in captivity, he was released by his Viet Cong captors on January 23, 1968. SP4 Ortiz-Rivera returned to the United States in late January 1968, and was briefly hospitalized at Brooke General Hospital at Fort Sam Houston, Texas, from January 1968 until he was honorably discharged from the Army on April 23, 1968. 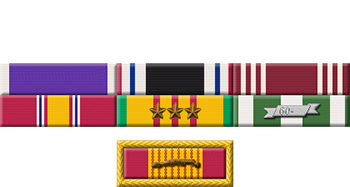 He remained in the inactive U.S. Army Reserve until December 29, 1971.